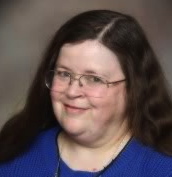 Jane T. Sibley, one of the founders of CTCW, also created the New England Conference on Mithraic Studies (Mithracon), happening in New Haven this weekend. 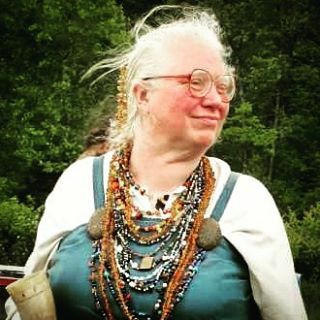 Jane and Tchipakkan met in the Society for Creative Anachronism, a medieval recreation group, where Jane’s persona is that of a Norsewoman from the pre-Viking period, Arwen ferch Rhys (Tchipakkan’s is an Anglo-Saxon, also from the 7th century). 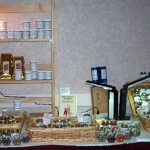 That was where Jane created Auntie Arwen’s Spices, where she sells herbs and herb mixes both culinary and healing. If you can’t wait until the conference check them out on line. In the SCA she worked with Lois Fitzpatrick in the Soothsayer’s Guild, being awarded the Order of the Laurel for historical divination. Among the techniques she shared in this medievalist group were reading runes, casting seeds, and her work in utsetta (oracular seidhr). 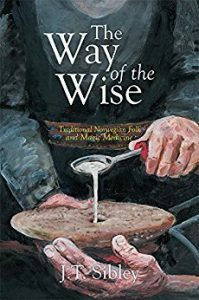 Jane’s degree was in folklore (her PhD in runes), and her work was with an electron microscope- as with much of CTCW, she combines mind and spirit, history and science, healing, divination, myth and humor, each informing our understanding of the others. See her page here for a list of the classes she’s taught over the years. This entry was posted in Thursdays Speakers and tagged Auntie Arwen's Spices, author, CTCW, divination, folk medicine, Jane Sibley, Mithracon, Norse, Norseworking, Runes, SCA, Soothsayer's Guild. Maxine Meilleur is a NO WOO WOO classically trained Psychic Medium. As Spiritualist since her teens, she studied ministry at Harvard Divinity School and parapsychology at the Rhine Center at Duke. 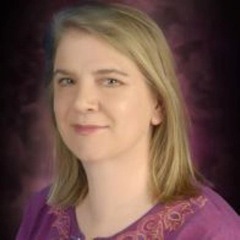 Author of Great Moments of Modern Mediumship, she is an expert in psychical research and the phenomena and pioneers of Spiritualism. 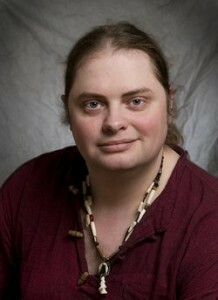 Her readings are detailed and useful and her website is www.moderndayseer.com. This entry was posted in Thursdays Speakers and tagged author, Medium, Psychic medium, speaker, spiritualist. Please join Tchipakkan and her guest Taylor Ellwood on the New Normal Wednesday night! He’s back with more exciting stories about his work, this time Pop Culture Magic. “Have you ever watched a television show, or read a book and been inspired to work magick based on what you’ve seen or read? If you have, you’re not alone in thinking that. 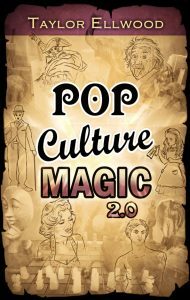 More and more people are discovering that the modern mythology of pop culture has answers for their spirituality and approach to magick. Pop culture is the mythology of our times, offering us a universe full of new gods, stories, practical magickal techniques and a lot more! It is a reflection of the need for magick to change and evolve with the times. With Pop Culture Magick you can take the cartoon characters of today and make them into the elder gods of tomorrow. I’m Taylor Ellwood. I’m a mad scientist, magical experimenter and a publisher of cutting edge esoteric books. I’m always developing new systems of magic, combining various magical practices and techniques with other disciplines and practices. I also teach classes on magic, provide tarot readings, and offer one-on-one magical apprenticeships for anyone looking to expand their spiritual horizons and change the way they understand practice magic. Oh and did I mention I’m also a business/author coach. I have a broad and extensive background in both Western and Eastern esoteric practices including Taoism, Dzogchen, Chaos magic, neoshamanism, Hermeticism, Quabalah, and so on and so forth. But I’m interested in more than just the esoteric traditions and because I believe in living a holistic life, I think its important to apply everything I know to my spiritual practices (and vice versa) so you won’t just find me exploring magic, but also business, science, literacy, and other topics, in order to apply all of them to each other and as a result experiment with what I can do as a magician and a human being. If that appeals to you, then this site is for you and I look forward to working with you. Learn more about my approach to teaching magic. and don’t miss his fb pages including Pop Culture Magick, because one hour is not enough! This entry was posted in Tuesdays New Normal announcements and tagged author, Magick, New Normal, Pop culture, Taylor Elwood. 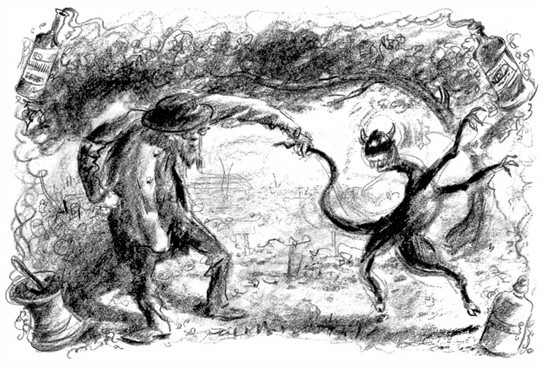 James ‘Cunning’ Murrell, shoemaker, and cunningman, grabbing the devil by the tail by artist David Hurrell. Cunningfolk were the folk healers and magick users who practiced into to the 20th century in many areas. Called wisemen and women, healers, fixers, virtuous ones, some called themselves white witches, while others insisted they were the opposite of witches, helping to counter bad magick with good. Although what they called themselves varied by region and individual, they were definitely magick users. Even in the modern world as scientists distanced themselves from magick, belief continues, since it’s harder to disbelieve when you’ve experienced it. Jeffrey Cerneson is a modern cunning man from New England who embraces both the modern and ancient world, combining practices from many cultures. JEFFREY CERNESON has been wandering the crooked paths of sorcery for nearly 30 years. His journey began after a series of personal and spiritual crises following his involvement in the first Gulf War. His wanderings led him from humble beginnings in Anglo-Saxon traditions to the mountains, temples, and hidden doors of the ancient wisdom of the Wu Shaman of China; those Taoist Sorcerers and Sages who have preserved the old sorcery in their secret martial, healing and spiritual arts. He has been trained as a Daoshi; priest, healer and alchemist, by such teachers as Huo Zhi Lian, Tzu Kuo Shih, and Feng Song, and is accounted a disciple of the Tao. From his wanderings in the Far East, he returned to explore the roots of his own blood and ties to the land of his birth. Being of Abenaki heritage, he undertook an apprenticeship in Native American Medicine ways and healing in exchange for the knowledge he brought from China. There he learned singing medicine, the Medicine of the sweat house and the sacred pipe, and the calling of spirits for healing, power, and balance. As he became a primary singer for an Absaroke Wicasa Wakan (Crow tribe ceremonial leader, and medicine person)., his own medicine grew, as did his yearning for his European heritage. While this training was essential to deeper understanding, it has always been in his own cultural heritage that his heart belonged, so he returned to studies of both his Norman ancestors as well as his Southern French ancestry. He began to re-examine the cunning arts of the Northern peoples on his own. With his newly awakened senses, and comparing what he experienced afar with what has been written and passed down, his wisdom potency and insight have grown beyond what was ever possible for him before those wanderings. Perhaps most important to the integration of all that he has learned, he has studied the Old World Witchery of Southern Europe, and the Etruscans through training and initiation with Raven Grimassi, and Stephanie Taylor-Grimassi. He is an initiated member of the Ash, Birch and Willow tradition and as such is a Pharmakeute; spiritual botanist and also a cunning person of the Greenwood who lives in partnership with the green world as the heart of his life. Starting in May, Jeffrey is teaching a on-line, 12 month course: TheCunningArtsandtheCraftoftheWise , check it out. Miss the show? It’s archived here. This entry was posted in Tuesdays New Normal announcements and tagged Abenaki, alchemist, arts, author, crooked path, Cunning folk, healer, Jeffrey Cerneson, medicine, Pharmakeute, poet, priest, Tao, Traditional Chinese Medicine, wise. Please join Tchipakkan and her guest, popular CTCW speaker, author and psychic, Catherine Kane on the New Normal 8 pm Wednesday, 8-9 p.m. est. “Is everyone psychic? I don’t know. I haven’t met everyone yet, but we’ve got another podcast coming up where we’re going to talk about that. “We’ll be talking abut psychic abilities- what kind of psychic skills there are, how to know if you’re psychic, ways to build your psychic skills and fun and useful things you can do with them. “If you close your eyes and concentrate now, I’ll bet that you can catch a glimpse of how much fun this show is going to be! “Want to catch this interview, call in with your own questions or be part of the live chat happening during every show? The call in number is 619-639-4606, and if you’re busy that hour, leave any question you’d like answered here, and catch the answer on the archives. (the link will be posted here). Can’t wait until Wednesday night? (or want more later?) You can also find Foresight on Facebook. Catherine’s Amazon page, and her writing blog. This entry was posted in Tuesdays New Normal announcements and tagged author, Catherine Kane, development, divination, empathy, Foresight, healing, psychic, psychic abilities, Reiki, speaker, Tchipakkan, the New Normal, wisdom.